Are you trying to flash MIUI fastboot rom using Mi flash tool but getting error again and again. Don’t worry we are here and we will show you how to flash MIUI fastboot ROM without Mi flash tool? Last weak we got a mail from our reader regarding Mi flash tool error. He was trying to flash fastboot rom using Mi flash tool. He told us that he already tried almost all possible tricks and methods to fix Mi flash tool error and till now not able to flash MIUI 8 fastboot ROM with Mi Flash tool. 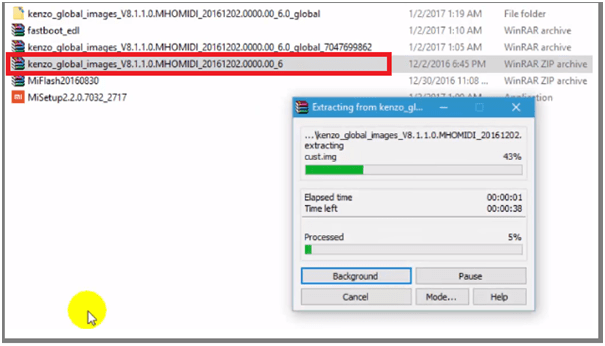 So please tell any method to flash Xiaomi ROM [fastboot ROM] without Mi flash tool. For this purpose we search on XDA forum and Mi forum to fix this problem. We found that many users are facing the same problem to flash fastboot rom using Mi flash tool like “Am not able to flash fastboot rom using Mi flash tool”, “Mi flash tool is not working”, “mi flash tool not detecting my device” and “other Mi flash tool errors” etc. So now here we are posting this article after testing myself. No need to use Mi flash tool to flash MIUI ROM. This method will help you to install all miui versions without helping of Mi flash tool. But befor that read the below conditions, if you are going to flash MIUi fastboot rom without Mi flash tool. Works perfectly on any xiaomi device whether it’s bootloader is locked or unlocked. So if you are getting any types of error during to use Mi flash tool then use adb command flashing process to flash any MIUI fastboot rom. 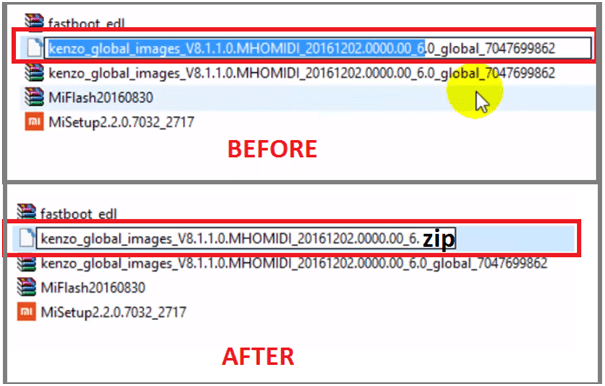 This method allows you to flash MIUI 7, MIUi 8 or MIUi 9 fastboot rom without MI flash tool. It’s already tested by our-self on Xiaomi Redmi note 3 and Redmi Mi4 Smartphone. This method works on all locked or unlock bootloader Xiaomi devices. So you can follow the tutorial to install any MIUI rom [MIUI7,8,9] on any xiaomi device. Easy method to upgrade or downgrade MIUI rom. First off all, download and install Xiaomi usb drivers for your device. 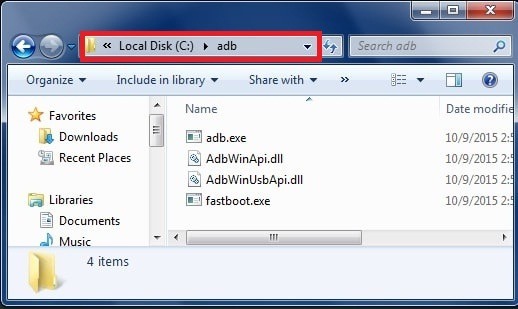 Go through the below link and install “Minimal adb & fastboot tool”. Extract the downloaded MIUI fastboot ROM [.tar file], until you see the folder as shown in below screenshot. 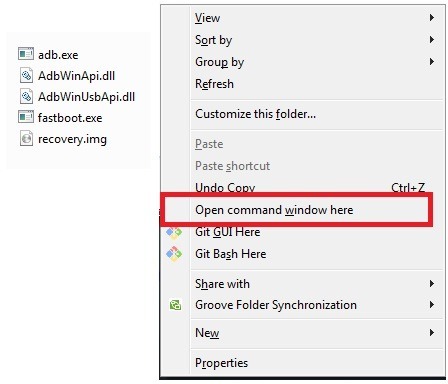 Click anywhere into the adb folder, Press & holde “Shift” key + “Right mouse” key and select “open command window here” option. 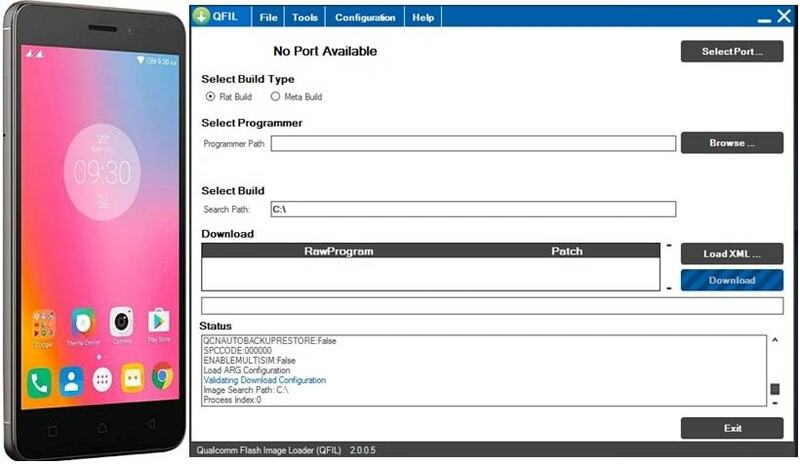 Enable USB debuggin and oem on your device which you want to flash. After enable USB debugging, Boot device into fastboot mode and connect with pc via USB cable. Copy or Type the below command in command window and hit enter. Now Execute all the below adb commands one by one to flash MIUI fastboot rom. All done!!! You have successfully flash MIUI rom without Mi flash tool. Congratualations!!!! 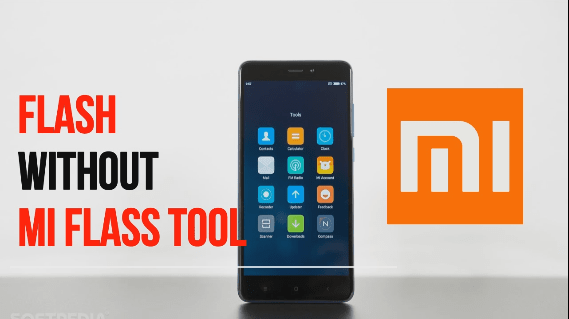 You have installed new MIUI version on your existing device without Mi flash tool. After flashing it may take long time to eboot again. So sit abck and wait to reboot normally. Once it’s reboot, setup your device again as a barnd new device with stock stettings. No need to use “Mi Flash tool”. If you are getting “Mi flash tool error” , can use this alternate method. Bootloader unlocking not required. Works perfectly on both locked and unlocked bootloader Xiaomi device. Downgrade or upgrade MIUI version without any error. Easy and quik MIUI flashing method. 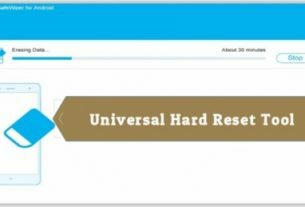 Unroot device without any issue. 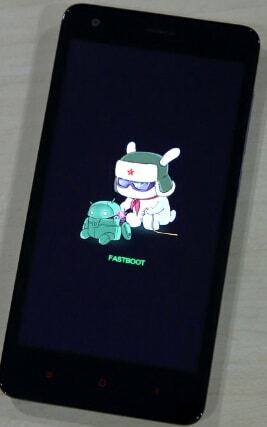 So guys, this is all about Xiaomi MIUI fastboot rom flash. Follow to tutorial as it is to flash new MIUI rom without Mi flash tool. Best part of this method is that, it will unroot your Xiaomi device, flash stock recovery and default factory setting again. No ned to use Mi flash tool and can get ride on Mi flash tool error. Don’t forget to share your experience with us. It’s really matter to us.